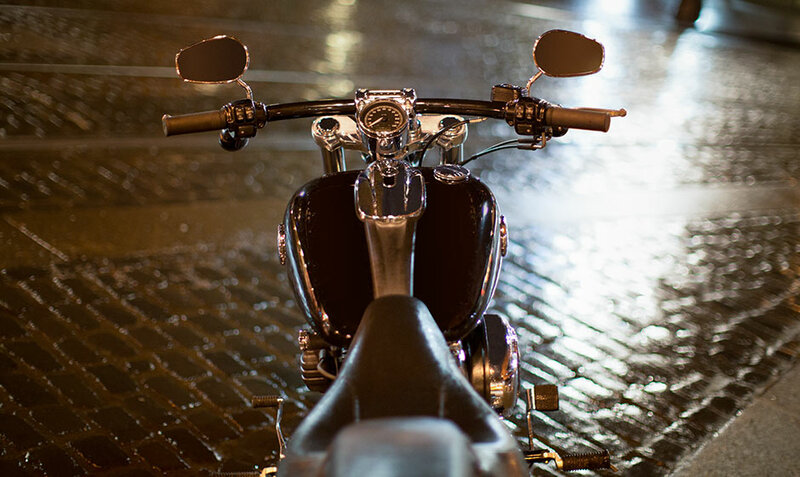 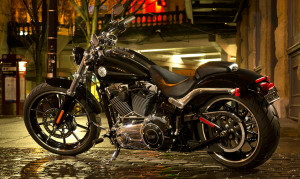 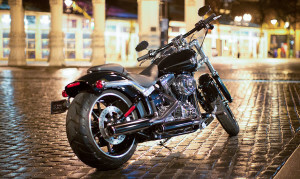 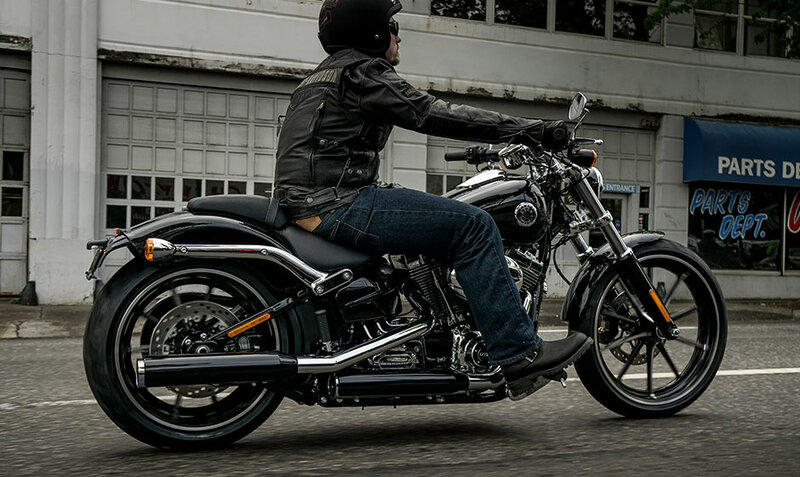 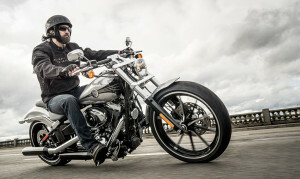 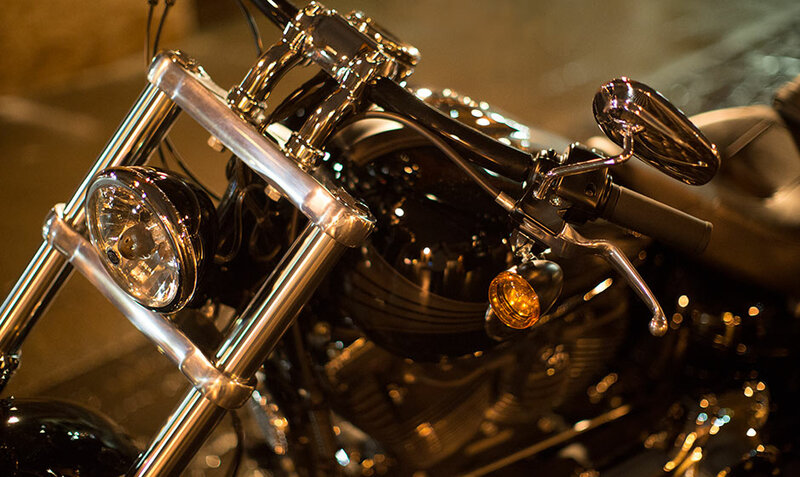 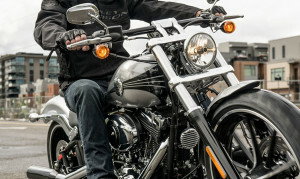 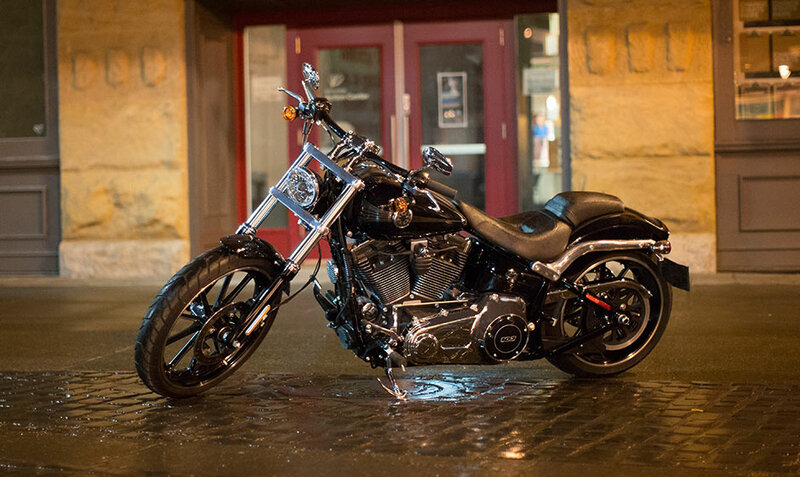 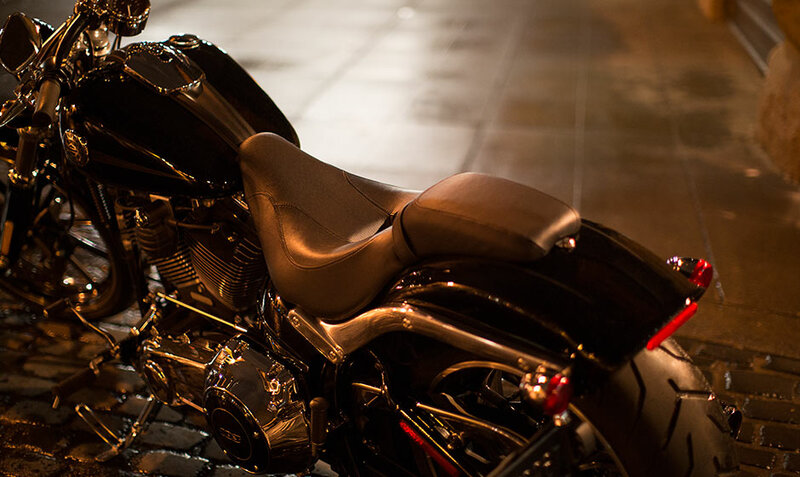 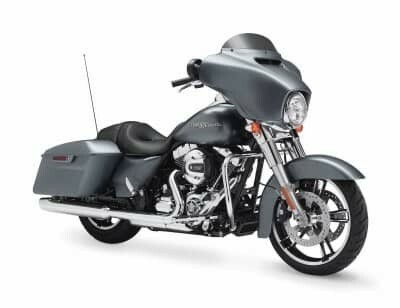 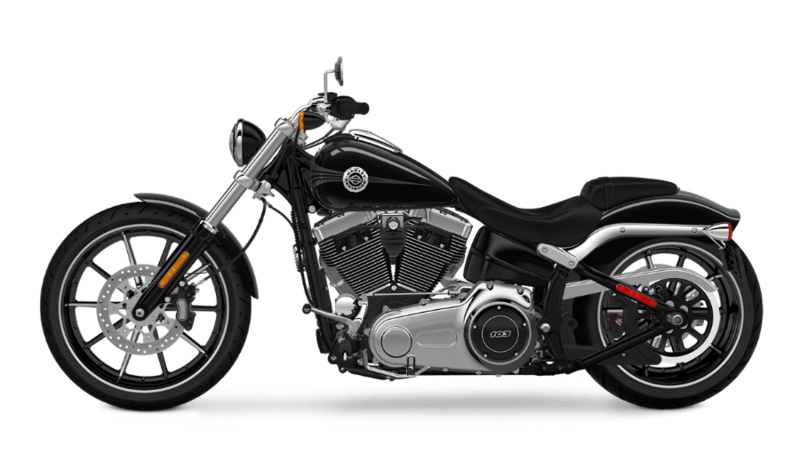 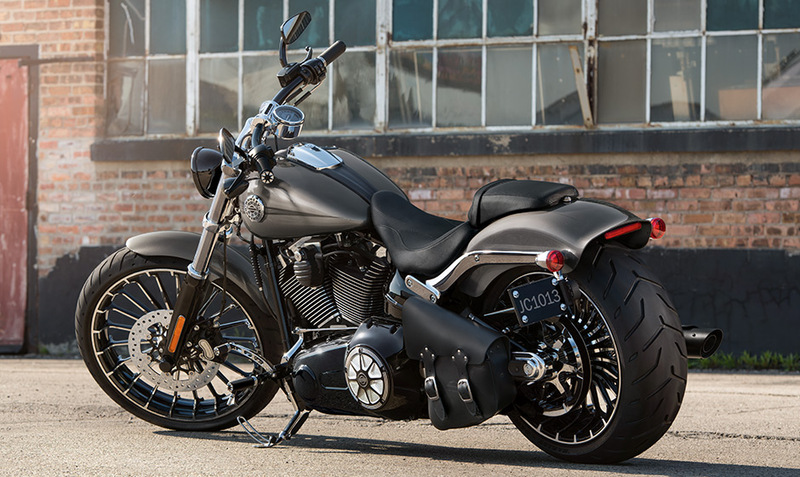 The Breakout® looks mean – its big, bold stance, with long, beefy front forks, big cruiser front wheel, and chrome finishes provides a package that should appeal to many riders. 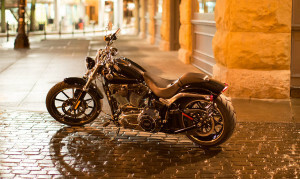 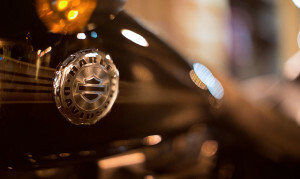 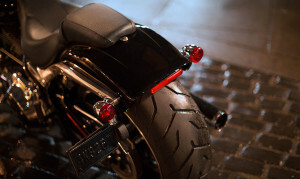 The Breakout® is inspired by drag bikes of the 50s and 60s, and it boasts a huge 21-inch front wheel with a minimal chopped front fender, a huge 18-inch 240mm rear tire wrapped around the Gasser rim, a side-mounted license plate to maintain the sleek profile, and of course, Hard Candy CustomTM paint on the tanks and the fenders. 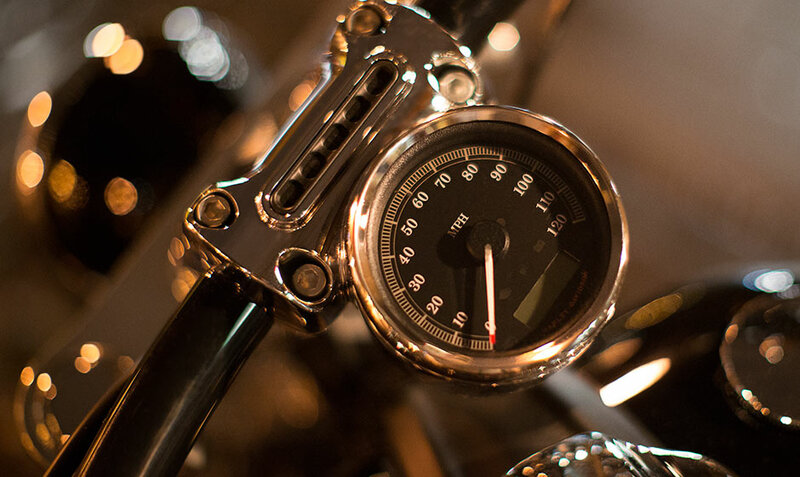 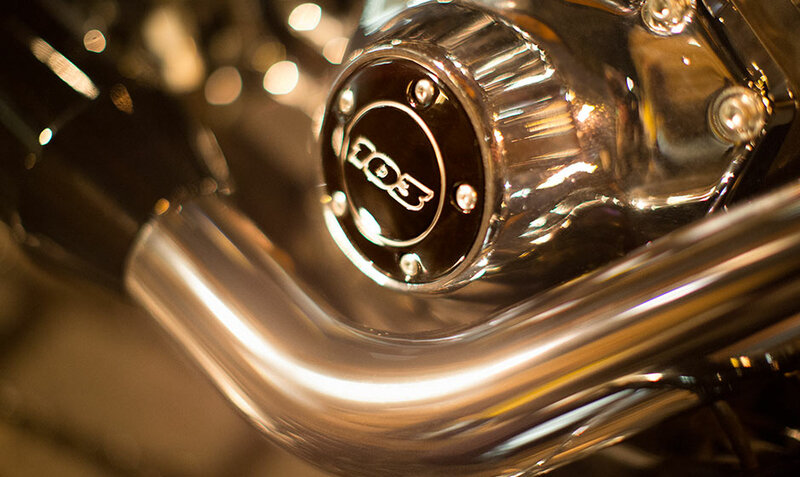 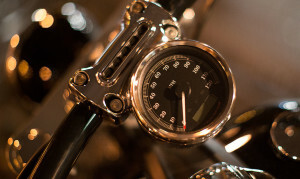 The cockpit is also race-inspired – it’s slammed all the way down onto the tank for an aggressive position, with a unique chrome-wrapped riser-mounted speedo.